On the surface Santa Claus may seem an overweight workaholic with an affinity for sweets, but a U.S. geriatrician says Santa may be healthier than he appears. "Because Santa is probably more than 550 years old, a lot of people would say that growing older hasn't been a problem for him," Dr. Thomas Cavalieri, dean of the Rowan University School of Osteopathic Medicine in New Jersey, says in a statement. 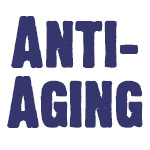 "But aging successfully means more than adding years to your life. Successful aging means you are adding life to your years." Cavalieri, the founder of the medical school's New Jersey Institute for Successful Aging, say although he has never personally had the opportunity to examine Santa, his expertise in aging allows him to point out the "jolly old elf's" naughty and nice health habits and it appears Santa has far more good health habits, than naughty ones. The 1823 poem, "A Visit from St. Nicholas," describes Santa as "chubby and plump" and 190 years later, he still looks like he could lose a few pounds. But examine the pictures of Santa from the 19th century and it looks as if he has already lost some weight. Losing just 5 percent to 10 percent of a current weight over six months will lower a person's risk for heart disease and other conditions, research shows. Still, skipping some of those sugary snacks children leave for him would help Santa avoid the weight gain that can lead to conditions such as heart disease and diabetes. Half of U.S. adults age 65 and older have diabetes or pre-diabetes, Cavalieri says. However, the milk with which Santa washes down those cookies is a good source of bone-building vitamin D and calcium, but Santa should stick to low- or non-fat milk, and combine it with vitamin fortified foods and weight bearing exercises to keep his bones strong and limit risk of osteoporosis, Cavalieri advises. Despite his size and age, Santa probably sticks to a regular exercise program throughout the year. "Otherwise, he wouldn't be able to remain so 'lively and quick' while delivering gifts," Cavalieri says. Carrying a sack full of toys strengthens muscles, improves balance and helps prevent falls. Climbing up and down chimneys -- while not recommended -- is likely good cardiovascular exercise, similar to the kind of workout you get with a brisk walk, a bike ride or walking up and down steps," Cavalieri says. Santa is described as 'making a list and checking it twice,' and this may be a sign of some age-related memory problems, but making lists is an excellent way to compensate for this sometimes vexing problem, Cavalieri says. Pictures of Santa and written descriptions say Santa used to be seen with the "stump of a pipe ... held tight in his teeth" while the smoke "encircled his head like a wreath," but, Santa appears to have given up this habit, Cavalieri says. Tobacco use is the top cause of preventable U.S. death, killing more than 400,000 Americans and costing the nation $96 billion in healthcare bills each year, the Centers for Disease Control and Prevention in Atlanta says. No matter how old, quitting smoking immediately improves health and quitting may be the single best thing Santa has done for his health. Santa keeps a herd of reindeer, which not only help in his work, but caring for animals can yield health benefits as well. "Pet ownership can help lower blood pressure, ease anxiety, reduce social isolation and even boost the immune system and provide opportunities for exercise," Cavalieri says. Finally, although the North Pole is isolated, Santa is not socially isolated. He has the company of Mrs. Claus, the elves, the reindeer and all the children who write to him. Santa is not retired and makes toys with the elves all year long -- providing both physical and mental challenges. He has a purpose in life and a reason to get up every morning. In addition, he appears to have a loving relationship with Mrs. Claus. Research shows married people are more likely than others to survive cancer and heart disease. A Duke University Medical Center study found baby boomers with permanent partners or spouses had a decreased risk of premature death during midlife years. Individuals who were never married were more than twice as likely to die early than individuals who had been in a long-term, stable relationship, the study says. Married men also have a lower risk of depression and a higher likelihood of satisfaction with life in retirement than their unmarried peers. Being married is linked to better cognitive function, a reduced risk of Alzheimer's disease, improved blood sugar levels and better outcomes for hospitalized patients, research finds. "When you add it all together, Santa's health habits definitely put him on a successful aging path that others can follow," Cavalieri says. "He appears to be in pretty good shape and should be able to continue filling Christmas wishes for many years to come."